Microsoft Office Exploitation is still to be continued in today. Microsoft Office and Internet Explorer is the target because they are the applications that used everyday and has the more possibility to interact with external entities that other applications. However, exploiting Microsoft Office is not trivial, you must know a lot of Office document format - Word, Excel, PowerPoint and etc. 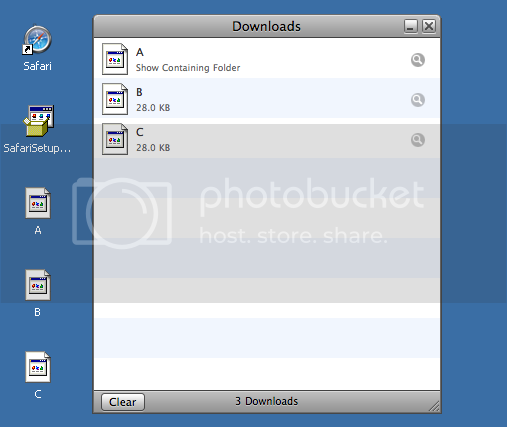 I try to learn these files formats from internet and I found that it's not easy and time consuming. I think may be trying to learn the file format from exploit may be the easier way. So, I pick up the MS08-011 Microsoft Works files (.WPS) vulnerability to be the case study. 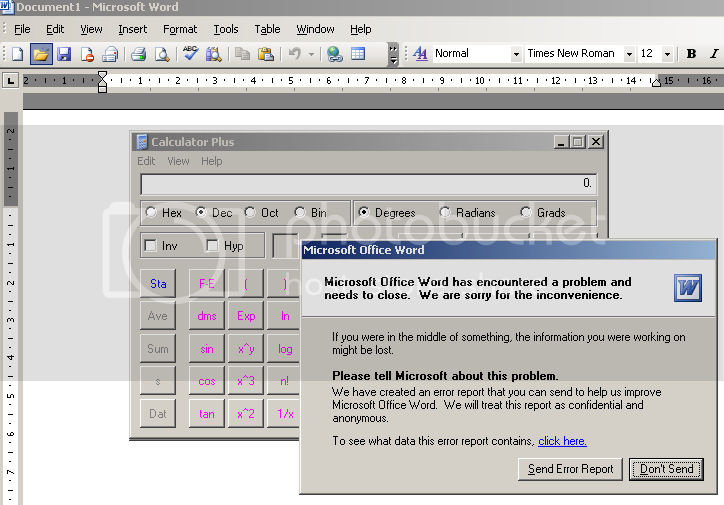 Microsoft Word crashs, however, the calculator is launched which means that it exploits successfully without any modification. In the exploit, it use the return address 0x7c941eed which point to "jmp esp" instruction. in XP SP2 de. When I lookup this address in my machine, it's point to the same instruction, that's why I don't have to change any part of the exploit. At this step, the loop condition is loaded from address pointed by ebx + 0xa to esi, and it's value is 0x2f !!! Yezzz, this value which I suspect is an important key in the exploit. It's functionality is the number of loop, for each loop the program will copy 12 bytes from source to destination totally 12 * 0x2f = 564 bytes to memory. If you calculate length of shellcode + number of bytes after 0x2f + length of the return address, you will see that it is 362 + 20 + 4 = 386 bytes which small enough for the value 0x2f to copy all of we need. One year / One entry ^_^. Normally, most of information security people use one or more web browser because this can make you surf the web more secure. You can choose which web browser will be used to surf the specific web, so you can avoid to use the vulnerable browser to visit the suspected web site. But, do you think using multiple browsers will make your machine infect malware instead of be more secure, lol. Yes, I'm talking about vulnerabilities of 2 web browser, Safari and Internet Explorer. Each of vulnerability is considered moderate/less severity, however, when using these vulnerabilities together the severity will become critical. The vulnerabilities I describe in this entry are Safari "Carpet Bomb" and Internet Explorer "DLL Load Hijack"
Safari download 3 files into Desktop - A, B and C. Many people, including Apple, consider this behavior to be less or no harmful. The file downloaded into users machine could not be executed by Safari itself. Yes, their attitude are right until Aviv Raff point to something important. P.S. This attack also called "Blended Threat". It means the software vulnerability that combine with two or more different vulnerabilities. After I described how to exploit MS07-029 vulnerability on Windows 2003 Server SP1/SP2, now I will post about it again but in the different technique. In this post I will describe how to bypass hardware-enforced DEP or NX on Windows 2003 Server SP1/SP2 instead of software DEP (SafeSEH issue). However, because I have no NX support machine, so something will be missed and It’s very helpful if you help me to correct things. Something has changed from the old one. The return address of Windows 2000 and 2003 SP0 are called Ret and Rets, however, the return address in this target is called IB (Image Base). What’s the image that start at the address 0x76a80000 ? At the address 0x76a82566 is the instruction that add some value to ebp, switch value between ebp/esp and pop value of esp to ebp, then jump to the address on esp. Then, when I lookup the rest of code, I decide to step into the debugging process because it ‘s quite difficult to understand what the exploit code does. 01015462 mov byte ptr [edx],cl ds:0023:013a0000=?? What does this return address do ? It’s pop the value from the stack and store at esi, then return. After jump to 0x7c8285e8 – ntdll!KiFastSystemCall, the process will move value from esp to edx and run sysenter instruction. But wait… what is sysenter instruction -*- ? After I search through the google, I’ve found the interesting article Windows syscall shellcode. In summary, sysenter is the instruction that execute the “system call” of Microsoft Windows operating system – switch to ring 0 level – the kernel mode. The eax value is the system call number to be executed – in this case 0xed. What is the system call number 0xed ? It is NtSetInformationProcess (search at http://www.metasploit.com/users/opcode/syscalls.html). The parameter of sysenter is passed to NtSetInformationProcess by edx. It points to the return address after execute the sysenter command and the array of argument that pass to the system call – NtSetInformationProcess in this case. In paper from uninformed.org, calling NtSetInformationProcess with these parameters will disable hardware-enforced DEP or NX. Before continue, I have to understand the meaning of 0x22 and 0xffe0270. The value 0x22 when represented in binary format will be 0x0010 0010. 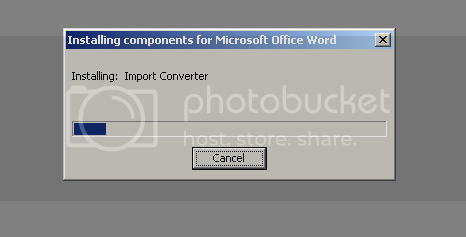 So the bits that enable are Pos 1 (ExecuteEnable) and Pos 5 (ImageDispatchEnable). So, calling NtSetInformationProcess will let the whole areas of the image are executable. The address 0x7ffe0270 is a pointer to NtMinorVersion which is 0x2. The word “NtMinorVersion” lets me remember something. It’s a minor version number of Windows 2003 Server operating system (Windows 2003 Server version is 5.2). Then I verify my assumption by look at the value that 0x7ffe026c – NtMajorVersion – point to. It points to 0x5 which is major version number of Windows 2003 Server operating system. 76a810a8 mov eax,dword ptr [esi] ds:0023:6447504f=???????? and its purpose is to execute the jmp esp instruction. Finally, because of the post is very long, so I try to create a picture that demonstrates the flow of instructions and the purpose of them. It may be help you understand the concept of this exploit. This is the third post in MS07-029 series and the second post about how to exploit this vulnerability in Windows 2003 Server environment. However, instead of discuss about Windows 2003 Server SP1/SP2 same as the last post, in this post I will describe about the exploitation technique in Windows 2003 Server SP0 - __except_handler3 method. What's __except_handler3 ? It is the code that exception handler pointer in every EXCEPTION_REGISTRATION on the stack point to. It's always called when the exception handler is activated. I suggest you read this research to understand the concept how we can use __except_handler3 in the SEH exploitation. The first question about the code is that why there are 3 return addresses on the target. The address 0x77f45a34 is the address of __except_handler3 in Windows 2003 Server SP0. The address 0x76a935bf is the address of "jmp esp" instruction in ATL.dll. For 0x77f7e7f0, I will describe it later because I think it would be clear how many important of this address if I use it in the real situation. Its function is do a little thing and then jump the the address that stored on the stack. Don't mind if you don't know the important of the address at this time. I will describe later about it. edi + ecx * 4 + 4 = 0x77f7e7f0. Do you remember the new equation ? Yes, it is A + B * 12 + 4 = 0x77f7e7f0 where edi = A and esi = B. The instruction at address 0x77f45a3f is the instruction that set ebx with the value pointed by ebp + 0xc. Now ebx is value 0x0118fd54 and point to our payload. The bold green highlighted value is the value of the first return address, 0x77f45a34 - __except_handler3. The bold brown highlighted value is the value of A and B that make A + B * 12 + 4 = 0x77f7e7f0 - the second return address. The bold orange value is the value of "jmp esp" in ATL.DLL. The value of esi now is 0x04ffa9a9 - addr2 - at the instruction ntdll!__except_handler3 + 0x2d. Now edi is 0x3bfbf400 - the addr1. At ntdll!__except_handler3 + 0x44, eax is set to 0x77f443c9. 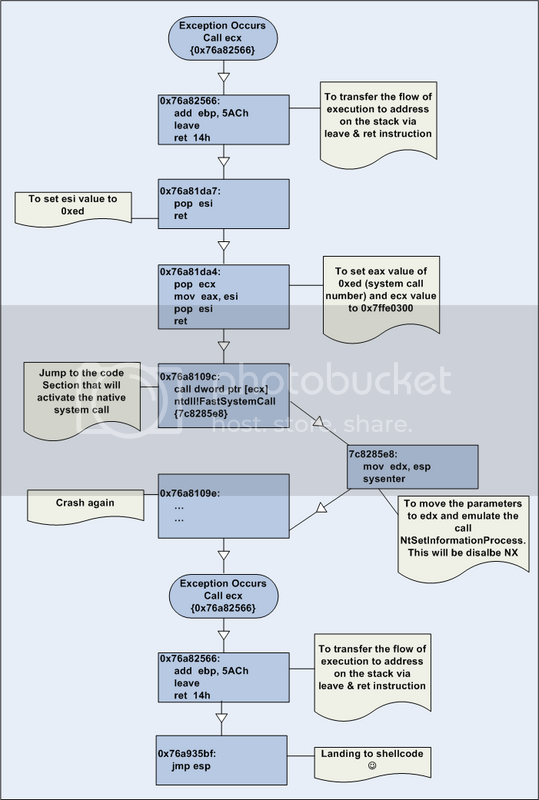 The flow of execution reach at the address 0x77f443d6 - the ret instruction. This instruction is equivalent to jump to the value stored on the stack. So the flow of execution will transfer to 0x76a935bf - jmp esp on ATL.dll. This is the second post on MS07-029 series. In this post, I describe the exploitation technique used in Windows 2003 Server SP1/SP2 environments. We have to face with /SafeSEH and hardware-enforced DEP, no /GS in this game because we overwrite the SEH – not the return address on the stack, but I talk about only SafeSEH in this post. For hardware-enforced DEP, I will describe later. 01015389 880a mov byte ptr [edx],cl ds:0023:013a0000=?? Everything seems OK – just change 0x41414141 to the address of instruction pop/pop/ret, our shellcode will be executed. But when I change 0x41414141 to 0x71c0291d – pop/pop/ret on ws2_32.dll, our shellcode does not execute !!? The reason why atl.dll can be used in this exploit is that atl.dll is not compiled with /SafeSEH (information from metasploit exploit), so when we use the address in this dll, it will be passed on any check. The difference between 2 dlls is at the check after call ntdll!RtlIsvalidHandler. It checks the return value from ntdll!RtlIsValidHandler. The return value of atl.dll is 0x01, so it will not jump to ntdll!RtlDispatchException + 0x110 and finally execute ntdll!RtlpExecuteHandlerForException. Now, I know more details about the difference between atl.dll and ws2_32.dll. The function ntdll!RtlIsValidHandler return true (0x01) for atl.dll and false (0x00) for ws2_32.dll. The key internal function in ntdll!RtlIsvalidHandler is ntdll!RtlLookupFunctionTable. This blog is all about Exploitation Technique and Information Security Related Topic.